News & Trends Know the Vessels Before Setting Sail with a Caribbean Yacht Charter! 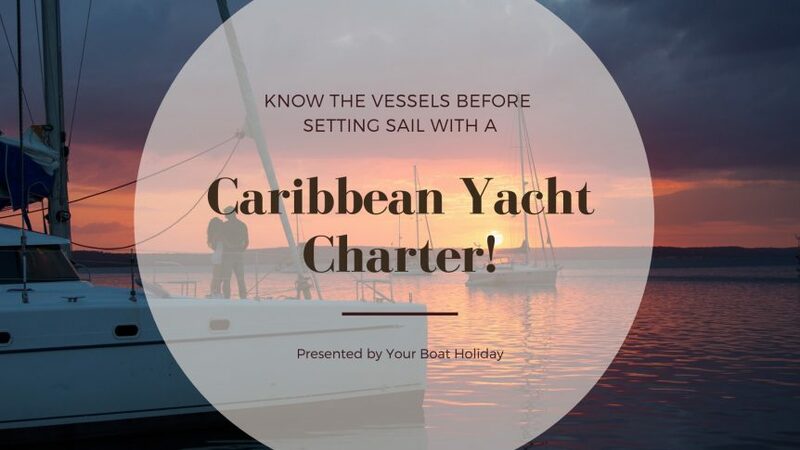 Know the Vessels Before Setting Sail with a Caribbean Yacht Charter! If you are ready to undertake this adventure along the enchanting combo of palm trees, sandy beaches and dramatic caves & coves – choosing a Caribbean yacht charters is the deal! Long called the West Indies, this group of islands brings with itself the water-sports of Barbados, wreck-dives of Grenada and the magma-spouting mountains of Cuba. Not to miss, its colonial history is entangled with the enthralling served hot with its spices to match the gastronomic flair. Intrigued enough? Now, how about deciding the type of a vessel you want before planning the sailing itinerary? What if you are caught amidst an untimely easterly shower on your way to Caribbean? To ensure that you have a safe sail, a catamaran (crewed/bareboat – your choice) is an ideal one! Unlike its counterparts on the sea, a catamaran charter Caribbean has cabin layouts ranging from 3-6 room formats. Apart from that, its private sleeping quarters, easier means of navigating through shallow waters, fewer stairs, double-hull and wider decks make it THE CHOICE! Whether you want a veteran skipper to plan your itinerary and technical staff manage your boat or go in for a complete self-guided tour – choice is yours (don’t miss out on your sailor’s license while choosing a bareboat charter). Also, for a family outing or a couple party, this one is to look for given that it is easier to anchor near the beach. At times, when you rent a yacht charter in Caribbean, you look to make a swipe through the islands quick and fast – the June rains are on its way. In that case, speed is the key, and these motor yachts are the option! Indulging in the beauty of the West Indies, these yachts are perfect for day trips on the Caribbean waters. Coming within a range of 26m – 40m regarding length and 4-6 cabins and 10/12 berths, people mostly go in for crewed motorboats. With smaller ones for a day-trip and larger ones for a week, this is one mode that you better not miss. Some freedom to sail the turquoise waters by sandy beaches? Want a taste of your self-planned itinerary and self-cooked food? Want to anchor the boat by night for a dip into the sandy beaches? – Go in for a classic mono-hull sailboat. As you choose this Caribbean boat charter, you will find the options ranging from ones with 1 to 5 cabins and 30 to 50 feet. Take the wheel by your command (make sure you have the sailor’s license and previous sailing experience), charge at easterlies and make your way through the Caribbean waters. Often going mono on a voyage proves the perfect escapade for many. If you are experienced and wish to go for a solitary voyage, then take into consideration which vessel to charter boats Caribbean.